Hello and welcome to our preview for Auckland Aces vs Northern Knights match. 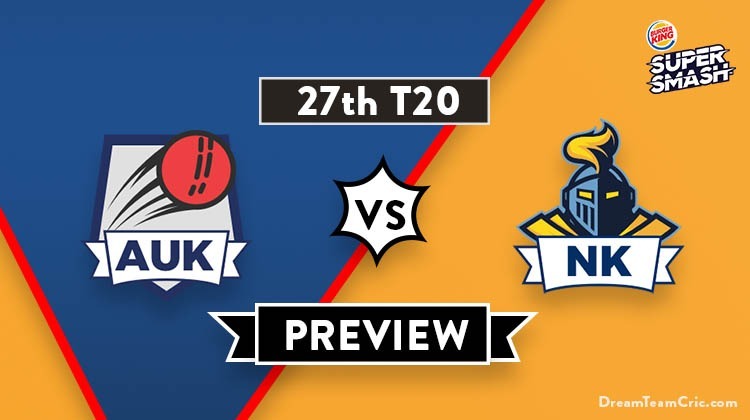 We are covering AUK vs NK Dream 11 Team Prediction, Preview and Probable Playing XI for the Super Smash 2018-19 match. The match is to be played at the Eden Park Outer Oval, Auckland. This is an important match for the home side, Auckland Aces. With four wins from eight matches, they are placed at the third spot. A win here secures their stay in the top three and they can also dream of hosting the 2×3 match. Northern Knights are beyond anyone’s reach. With seven wins from eight matches, they are ruling the table. Auckland completed their hat-trick of wins with a nine-wicket victory over Canterbury. Four-wicket haul from Matthew Quinn helped the Aces to stop the Kings for only 122 runs in their dig. Daniel Bell-Drummond and Glenn Phillips scored half-centuries as the side cantered to a win with three overs remaining. Northern Knights humiliated Central Stags in their last match. Daryl Mitchell’s 61(23) and Brett Hampton’s 64(31) carried the side to an imposing total of 230/5 in 20 overs. After Scott Kuggeleijn and Neil Wagner created early in-roads with two wickets each, Tarun Nethula stepped in and picked up six wickets. The Stags were shot down for only 99 runs in total. This is the home ground of Auckland Aces. Both their remaining games are home matches. They have one win from the two matches played here so far. Both matches were contrasting as the first inning scores recorded were 110 and 184. They have declared their 12-man squad. Colin Munro returns from national duty and takes the place of Ben Horne. Munro is expected to take the opening spot with Bell-Drummond. All others shift one position down. Graeme Beghin is likely to sit out as 12th man. Glenn Phillips, the wicketkeeper, bats at number three. Mark Chapman, Craig Cachopa, Robert O’Donnell and D Grobbelaar complete the middle order. Ronnie Hira and Will Somerville is the spin duo. Mitchell McClenaghan and Matthew Quinn is a potent pace bowling pair. Grobbelaar will contribute with the ball also. Northern Knights have one change in their 13-man squad. New Zealand’s ace spinner Ish Sodhi returns to the side. Joe Walker is dropped. Ish Sodhi will certainly be a part of the team, the headache for the Knights will be in dropping one player from the successful outfit. 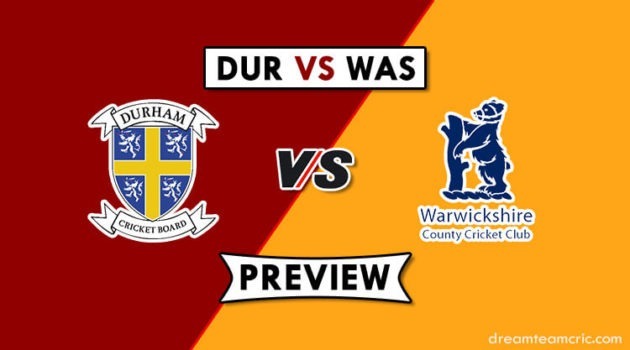 Neil Wagner is the likely candidate as he has not been regular in the side. Although he was impressive in the last match. Daniel Flynn can also make way for Ish Sodhi. Seifert and Nick Kelly will open the innings. Dean Brownlie and Brett Hampton occupy the next two spots. Two quality all-rounders, Daryl Mitchell and Corey Anderson, slot in next. They have Daniel Flynn batting in the lower order. Scott Kuggeleijn and Kyle Abbott will lead the pace attack. Ish Sodhi will partner Tarun Nethula. In wicket keeper both G Phillips and Tim Seifert are good. Captain and Vc choices: C Munro, G Phillips, T Seifert, D Brownlie, D Mitchell, S Kuggeleijn. 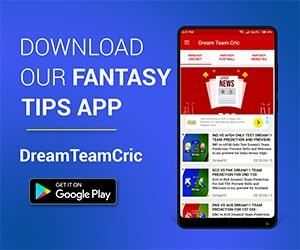 If you liked AUK vs NK Dream 11 team prediction, then follow us on Twitter for Latest Cricket News and Grand League Teams.